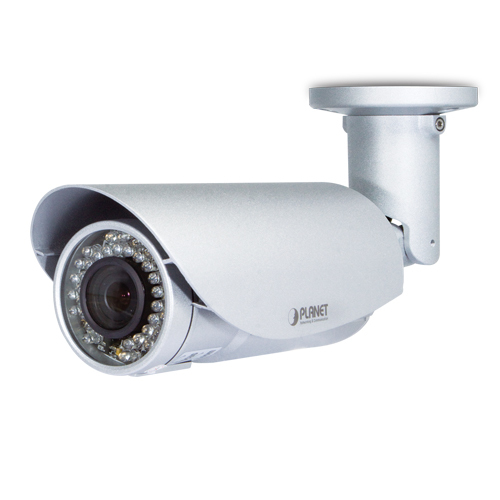 PLANET ICA-3550V Network Camera with IR Illuminator is a high resolution camera for the round-the-clock surveillance over IP networks. This camera supports H.264, MPEG-4, and JPEG compression formats and delivers excellent picture quality in 5 mega-pixel resolutions at 15 frames per second (fps) and full HD resolutions at 30fps. For easy management and waterproofing, the ICA-3550V is also equipped with a mounting bracket that conceals all cables within. 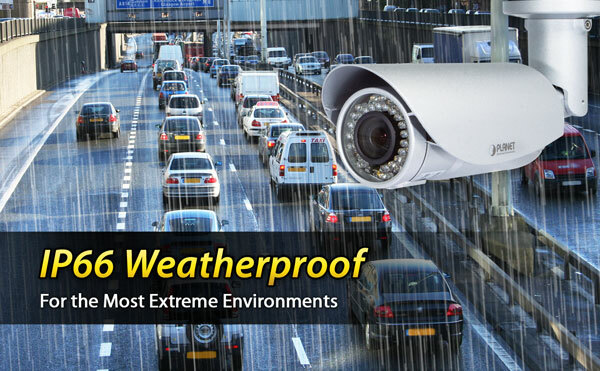 The IP66-rated housing protects the camera body against rain and dust and ensures operation under extreme weather conditions, which makes it an ideal solution for outdoor applications, e.g. surveillance of buildings, roads, parking areas, garages, railway stations, airports and more. To adapt to constantly changing lighting conditions, the ICA-3550V comes with a removable IR-cut filter and built-in IR illuminators, which enable the camera to provide color video when there is sufficient light, and black/white video in dark conditions. 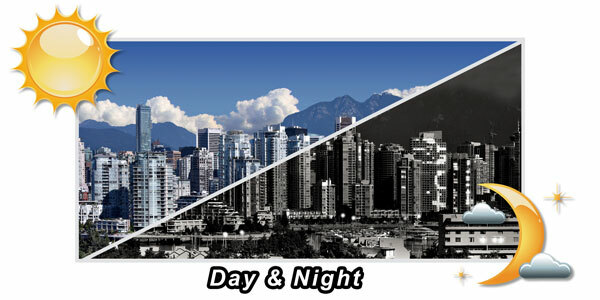 The ICA-3550V is able to maintain clear images 24 hours a day. Together with powerful image processing attributes like Wide Dynamic Range (WDR) and 3-dimensional Noise Reduction (3DNR) technology, the ICA-3550V is able to filter the intense backlight surrounding a subject and remove noises from video signal. The result is that an extremely clear and exquisite picture quality can be produced even under any challenging lighting conditions. The ICA-3550V supports a number of advanced features to enhance surveillance flexibility and event management capabilities. The advanced features include auto-iris for improving the image quality to avoid overexposure, AV out for two-way audio function, and inputs/outputs for connecting to external devices such as door sensors and relays to activate light or close doors. 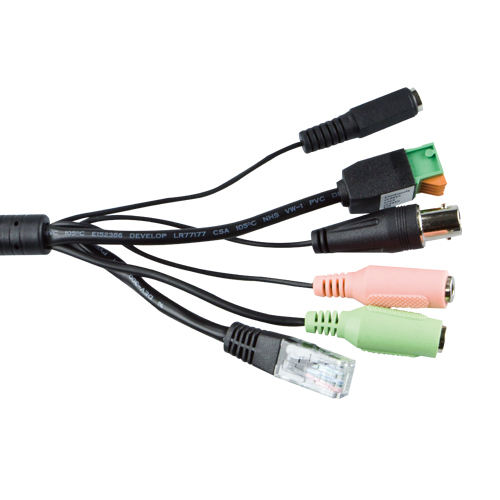 The ICA-3550V incorporates IEEE 802.3af Power over Ethernet technology and can be powered from a PoE Switch via the network, which eliminates the need for power cables and reduces installation costs. The ICA-3550V is ONVIF-compliant and therefore interoperable with other brands in the market, greatly supporting users to integrate with their existing surveillance network. In addition, the ICA-3550V includes 64-CH central management software for efficient monitoring. The ICA-3550V is indisputably the top choice for reliable and high performance surveillance. 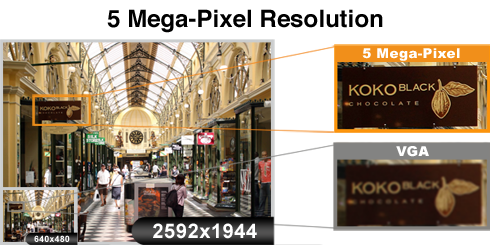 The ICA-3550V incorporates the mega-pixel vari-focal lens, which has the option of selecting a high millimeter setting for narrow viewing fields or a low millimeter setting for wider viewing fields. 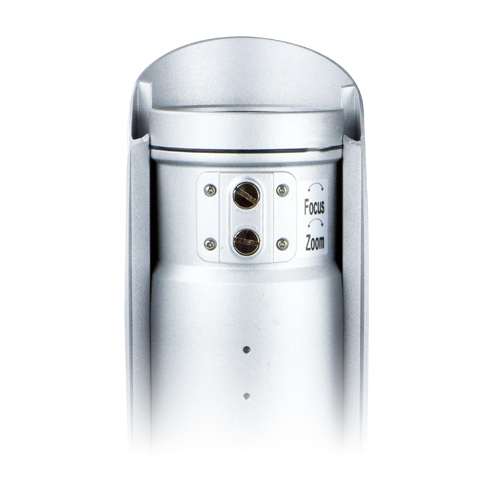 The ICA-3550V is also provided with three individually configurable motion detection zones. 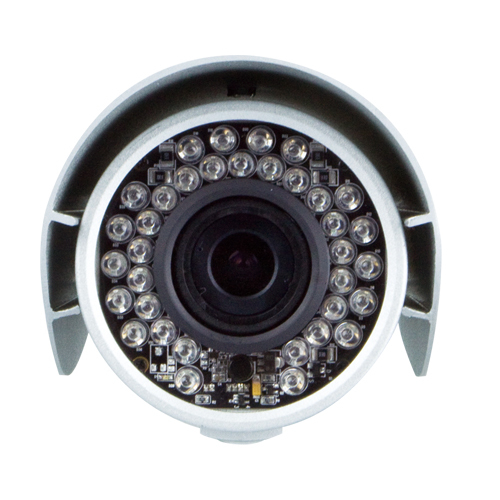 The camera can record video or trigger alarms or alerts when camera image is tampered. 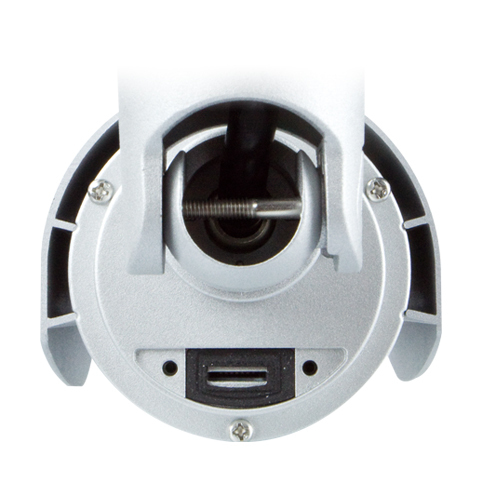 PLANET ICA-3550V can perform in various surveillance applications. With high resolution design, it can capture clear images and is perfect for identifying objects and persons. Moreover, the ICA-3550V supports 802.3af PoE interface and facilitates the outdoor surveillance applications without worrying the electric source area.